You know those moments when you've accomplished some insane gaming feat and end up hopping around in your living room doing the crazy dance as your cat quietly judges? Everybody has them from time to time, but what do you do when there's no one else around to bask in your gaming glory with? One of the best parts of achieving maximum awesomeness in your favorite game is being able to share your victories with others who'll appreciate them. If you've earned some buku bragging rights, there's no harm in telling the world. Assuming, that is, you do so in a non-jerky manner. Whether it's turning your Twitter account into a microphone or connecting Xbox with OneDrive, there are a few great options for (politely) getting your brag on. 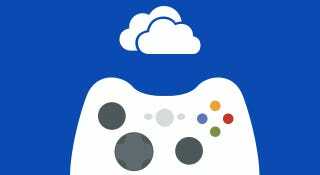 If you're an Xbox One gamer, it's easier than ever to share wins with your friends using OneDrive. The Game DVR feature lets you grab actual video clips of your killer accomplishments right after the magic happens, and you can even use Kinect to record yourself talking about your achievement (then synch the recording and the clip together). If the person you're most excited to share the news with isn't on Xbox Live, you can export your clips to OneDrive — allowing you to access them on any device and share them through social media. Whether you're hooked on using Twitter and Facebook or prefer hanging out on public forums to chat, interacting with people online naturally presents ample opportunities for bragging. Any online social media destination that gets lots of eyeballs from your friends (and fellow gamers) can be turned into a bullhorn to showcase your awesome accomplishment. Posting a snapped photo, screen grab, or short note about the cool thing you just did in New Game X will spread the word quickly. Your "brag" doesn't have to be overtly braggy per se — being humble but enthusiastic is a better approach. Getting responses from your friends and connections will certainly bring the warm fuzzies, and who knows? You might even go viral! Sometimes you just want to share your excitement over a massive victory while you're still pumped up from the win. Voice chat allows for instant gratification, since you can react to your experience immediately. Whether you share your score with your team, a group of friends you're playing with, or everyone on the battlefield, the trick here is to keep it upbeat, lighthearted, and positive. Also, be prepared — your online comrades might not be listening or may have different reactions, so it's best to stay cool and be friendly about it. No matter which way you choose to share news of your latest conquests, remember to be a good sport! No one likes a sore loser, but a sore winner is all kinds of terrible. To get better at winning, check out OneDrive here. Nathan Meunier is a journalist and freelance writer who covers video games, technology, and geek culture. He's also the author of Up Up Down Down Left WRITE: The Freelance Guide to Video Game Journalism, which is out now on Kindle and in print. This post is part of a sponsored collaboration between OneDrive and Studio@Gawker.